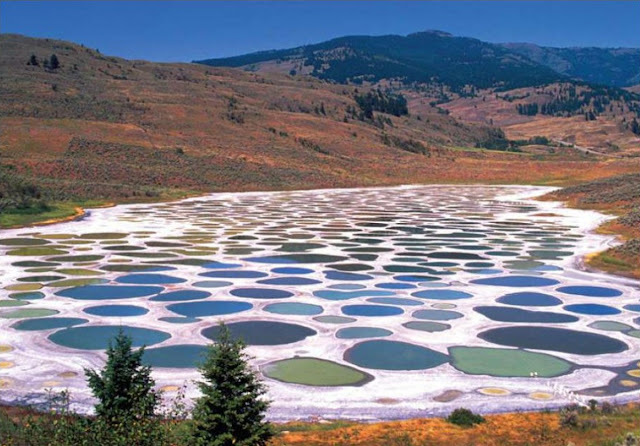 During the summer, peculiar white, green and yellow spots appear on this salty lake in British Columbia. 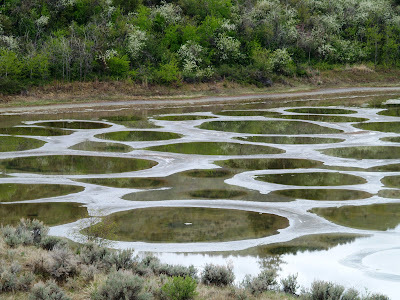 The explanation: When the lake water evaporates during the summer, natural walkways form on the lake from crystallized mineral deposits. The spots, made up mostly of magnesium sulfate, vary from white to green based on the mineral composition. 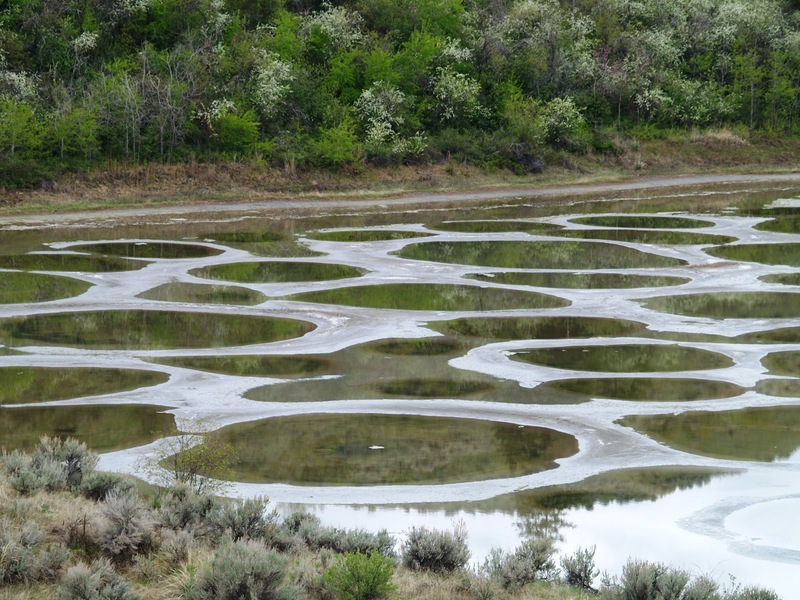 The Okanagan Indians considered the lake sacred for its therapeutic qualities. The Okanagan nation owns the lake, which is closed to visitors, but the spots can easily be viewed and photographed from Highway 3, which runs next to it.